Looking for some insight on the champagne celebration in the Jays clubhouse? As the only wine blogger with a Physed degree I want to know what they’re drinking and how much money are guys who earned a million dollars in salary this month paying for champagne. The talking heads at Sportsnet keep referring to the expensive champagne in the clubhouse. What I found may shock you! Firstly, why does Josh Donaldson get eye protection and Hazel Mae doesn’t? Also, who pays for her dry cleaning? So it turns out the Jays aren’t pouring and spraying and possibly drinking champagne at all. Super slow motion on my PVR shows me that they’re drinking American sparkling wine from California [ask anyone from France and watch them be outraged at this being called Champagne even though we mean no harm – WE MEAN NO HARM!] . And how much does it cost? Less than $15! These players earn obscene amounts of money – the team is owned by Rogers Communications – who i pay a thousand dollars a month for my cell phone – and they drink $15 bubbly. Awesome! And they also drank Korbel, which is also less than $15 a bottle. So my point here? I think we could all afford $15 per bottle to shake up and spray all over each other if the Jays in the ALCS! Do it, nobody from France is watching baseball anyway. Celebrity footballer David Beckham (Mr Posh Spice) won the MLS Cup with the LA Galaxy this week and is rumoured to sign with Paris St. Germain’s football team for next season. Perhaps that’s why he’s looking at the Korbel “champagne” with complete disdain. 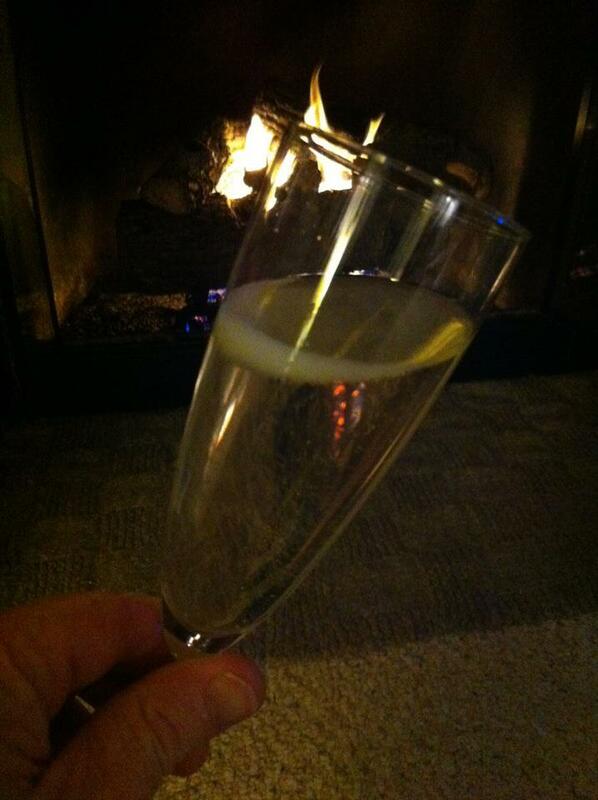 What would the French say about celebrating with Korbel? It’s the sort of thing that could ruin a man. "Get that American plonk out of my face mate - the French might be watching"
My wife’s friend’s friend Bernadette declared this Hungarian “Champagne” to be her favorite. I’m inclined not to argue with her so I drank it – a little skeptically since I am a little bit of a wine snob – and I liked the Hungaria. I liked it a lot. I like it more now that I know the producer is Torley Pezsgopinceszet Kft – whatever that means – because it makes me giggle and fits in with my natural propensity to pursue a high level of foolishness in life. I like the fact that is says “HUNGARIA” on the neck, just in case you forgot where it came from. Hungaria never tasted so good. Nice mousse, small bubbles and crisp enough to keep me drinking it. Inexpensive enough to keep my buying it. I can safely say that if I was stuck on Gilligan’s Island with only one wine from Hungary to drink this would be it.